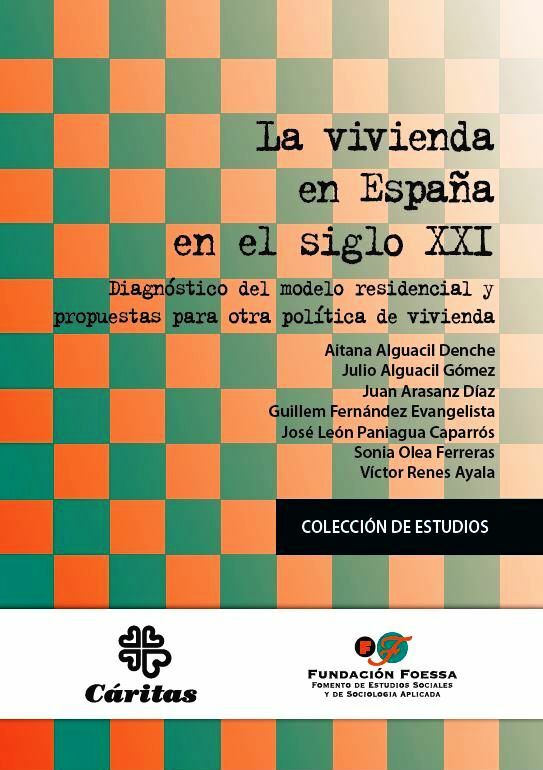 This number of “Studies Collection” of Foessa offers a reflection on how it has developed housing in Spain since the beginning of the XXI century, with the introduction of data, analysis and proposals, which will enable us to carry understand that residential model. Throughout this work, we aim to show how there is a residential model that has some deep historical roots, which has contributed to the character that takes the social structure of the Spanish population. In the process of setting up a residential model in Spain we can distinguish two periods. The first of them corresponds to the model autarchy of the franco regime, that opted for a massive production of housing and its propietarización, allowing the emergence of middle classes adhered to the regime. This led to the mass production of housing became a strong motor of the Spanish economy. And the second period, from the years 90, that comes with the approvals of laws (regional and state) favourable to the liberalisation of the ground. Appear several problems: large amount of vacant housing; stagnation of the demographics; difficulties of a large part of the population to access to housing; or the threats by foreclosures. 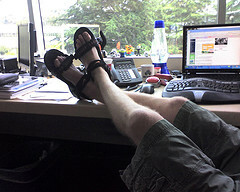 All these particularities have developed a strong speculative character, in the home, the role exerted by the financial institutions that have made possible the indebtedness of the families, or in a second plane, the political corruption that has damaged publicly to this sector by all the court cases that are cropping up in the courts. These two major stages have been followed that we find ourselves in these moments. In fact, the development of this work is fully linked with the crisis financial-economic in which we find ourselves and that hinders the recovery at the time of promoting new economic activity. In all this number, it is intended to perform a monitoring of the process, impact, causes and consequences that has led to the housing system in Spain in the previous century. (Caritas)- In close consistency with its track record of work for more than four decades in the field of social research, and the Fundación FOESSA (Fomento Social Studies and Applied Sociology) presented yesterday, from the hand of Caritas Española, a comprehensive study on housing, a topic of great present by its effects in the field of social exclusion. 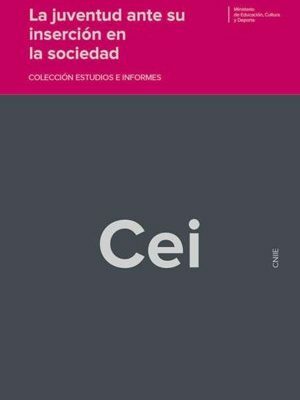 Released under the title “housing in Spain in the XXI century. Diagnosis of the residential model and proposals for other housing policy“, the study was presented yesterday in the course of a ceremony held late in the afternoon at the headquarters of the FNAC of Madrid, which counted with the interventions of the Ombudsman, Soledad Becerril, the secretary general of Caritas Spain, Sebastian Mora, one of the authors of the study, the architect José León Paniagua; and the coordinator of the report, sociologist and volunteer of Caritas, Victor Renes. If Sebastian Mora referred to the impulse given by Caritas in the past five years to ensure the right to housing as an authentic space of “socialization and fraternity” of the people, Soledad Becerril explained the monitoring that is being conducted by his office to alleviate the adverse effects of releases of mortgage and make it possible for that that is always the “last, last, last resort, in extreme cases, as a response to a situation of default or debt”. Both José León Víctor Renes explained, for its part, the thematic axes of the report, and the key analysis of the model residential part of considering housing as a good for the satisfaction of a need and not as happens in Spain, it is an object of investment for the benefit. An idea that passes by understanding that the accommodation of the population in appropriate conditions is a satisfactor that guarantee the basic need of subsistence and of health. Both for the authors as for the own FOESSA and Cáritas, the dwelling space is vital, essential to socialization, to be part of a society, which becomes a factor of social inclusion of the first order. 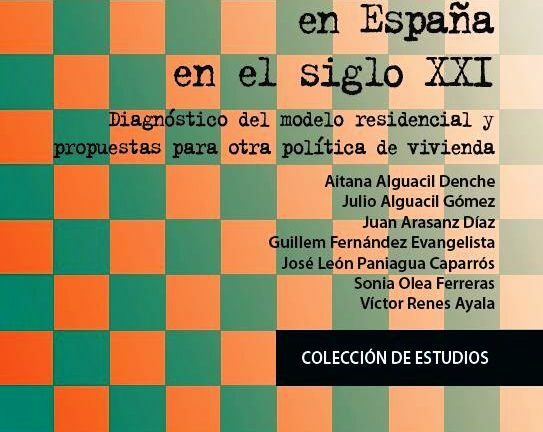 Hence, the aim of the report has been to analyze the model residential Spanish as a model that determines the function of the housing as the element that satisfies the basic need of accommodation. To do this, the study is structured in four major sections, which address, first, the production model of home ownership and the production as a purpose and investment, which is the most important determinant of the residential model; second, thedefendant and a permanent mismatch between supply and demands or housing needs; third, the balance and imbalance in the development of the territory and their impact on the structure and on social cohesion; and, fourth, the collision of the three previous factors with the need for a residential model that responds to the enforceability of housing as a right. This last point includes a repertoire of proposals and policy directions for realizing this right. The result of this new joint work of the Foundation FOESSA and Cáritas sheds, on the one hand, the finding of a repeated failure of an economic and social policy, and the inability to claim the effectiveness of a right, and, on the other, the expression of a hope expressed through the use of some alternative proposals to the current situation, in relation to the housing policy, require a long-term application to get effective results. 1. Development of the constitutional mandate to the public powers in the access, support, and guarantee decent and adequate housing as a fundamental right. 2. Development of the public property land in compliance with current legislation. 3. All of the subsidies (to developers and families) need to focus on the VPO in rent and in the promotion of the rental housing in general. 4. Development of public housing rental (new and rehabilitated), direct promotion. To achieve this goal, the Housing Plans should include measures of development (finance, land, taxation, etc), excluding any help with the purchase of any type of housing. 5. Aid for investment in the consolidated city towards the production of new housing and the promotion of actions of rehabilitation in integrated neighborhoods through interventions in collaboration with other social sectors (employment, training, etc). 6. Encouraging the occupation of empty dwelling by means of aid combined to the rent and rehabilitation, with the participation of regional agencies and rental housing rehabilitation. 7. Investment in integrated management of housing and living conditions, developing public intervention in rental housing and rehabilitation of integrated urban complexes degraded physically and socially. 8. Development of an information system residential to produce information reliable, independent and up-to-date to develop measures tailored to specific needs and quality. 9. Reformulation of the current Plans, Four-year Housing in function of overarching goals of housing policy (social rented, rehabilitation and integrated public promotion of rental housing). 10. Development of strategies of urban planning and residential character of the supra-municipal and area, with systems of control and participation and decision-making public, that serve to fight against corruption in urban planning and real estate. In summary, the concepts that to the authors of the report should concentrate all assistance in the field of housing would be social rented, rehabilitation, integrated, and public intervention and diversification of the model of access , which, along with the regulation of the right to housing, are the key components of the housing policy.